MM 1/c Arthur D. Taylor, son of Mrs. Ethel Taylor, attended school in Union. 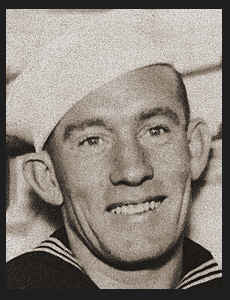 Entered Navy in Dec., 1941, trained in San Diego, Cal. ; served in Hawaii, Eniwetok, Saipan, Iwo Jima, New Hebrides, Okinawa, Guam, Japan, the Philippines and Samar; was dischaged in Nov., 1945. Awarded Am. Theatre Ribbon, Asiatic Pacific Ribbon with two Battle Stars, Philippine Lib. and Victory Ribbons, Good Conduct Medal.